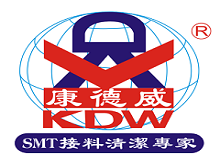 Product categories of SMT Stencil Clean Paper Roll, we are specialized manufacturers from China, SMT Stencil Cleaning Paper Roll, Dust Free Clean Rolls suppliers/factory, wholesale high-quality products of MPM Clean Paper Rolls R & D and manufacturing, we have the perfect after-sales service and technical support. Look forward to your cooperation! We supply different SMT Stencil Clean Paper Roll to fit various printing machines, DEK, MPM, SONY, EKRA, MINAMI, PANASENT, Fuji, MPM and other printers.The material is also used in semiconductor, optical products, PCB production, auotmotive, mobile phone production and medical equipment.